Nobody likes to get wet. Least of all you. But nobody wants to look like a numpty keeping out of the rain, either. After all, no matter what anyone tells you, umbrellas will never be cool. Similarly, you know as well as us that the search for good, waterproof raincoats is often a thankless task. … until! now! of! course! 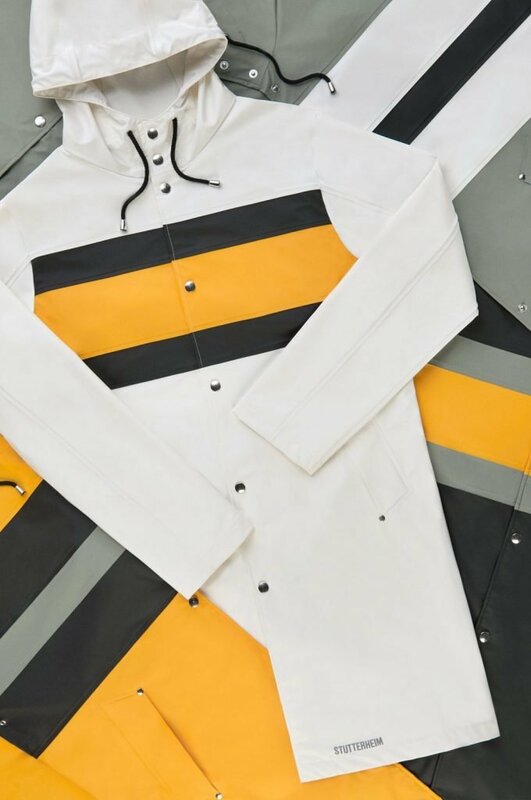 Thanks to Sutterheim, you can now stay fly and dray (we just made that up, but you can have it for free) with their lightweight, packable, 100% waterproof jackets. Featuring bright colours and bold graphic designs, they’re a perfect way to avoid the inevitable summer drenching.